In a Week 11 game that most believed was over long before the fourth quarter, the Pittsburgh Steelers staged a comeback against the Jacksonville Jaguars, led by vintage play from Ben Roethlisberger. 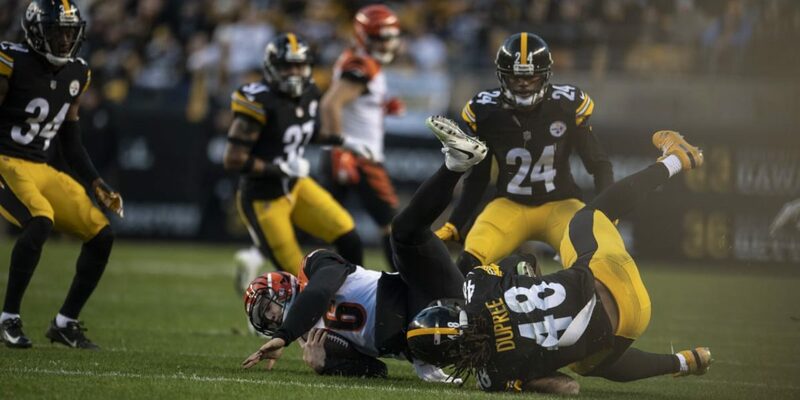 After an ugly start, the Steelers finally closed a 16-point deficit in the third quarter with a touchdown but knew they needed more points in a hurry on a day when the offense just wasn't clicking the way they needed it to. Enter Vance McDonald. Roethlisberger had just a little over two and a half minutes of regulation time on the game clock but found McDonald in the right place at the time they needed the most. Looking off the defense, utilizing one of his famous pump-fakes, Roethlisberger found McDonald along the back of the end zone and fired the ball up and away from Jaguars linebacker Telvin Smith and an underneath safety in coverage. McDonald went vertical, snagging the ball thrown where only he could get it, and came down in-bounds, paving the way for what became an unlikely comeback win for the Steelers. The catch capped off an eight-play, 80-yard drive and a much-desired win over Jacksonville. The comeback kept the Steelers' win streak alive, sealing six victories in a row, that would propel them into a race for the AFC North title with the Baltimore Ravens.